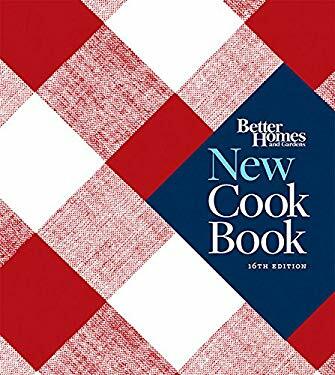 The fully updated and revised edition of the best-selling, tried-and-true resource for generations of cooksSince 1930, home cooks have turned to "Better Homes and Gardens New Cook Book" for guidance in the kitchen. This new edition includes more than 1,200 recipes, 1,000 color photos, and more tips and how-to information than ever. The "Secrets to Success" feature in each chapter shows cooks the key ingredients or steps to making each recipe successful. The "8 Ways With" feature enables home cooks to customize recipes by changing up flavors in basic recipes like omelets, shortbread cookies, and more. Along with the best recipes for favorite foods, this indispensable volume offers information on new cooking trends and fresh ideas, a new fruit and vegetable guide with ID photos, and expanded coverage of canning. Because food is at the heart of many family traditions, a new holiday chapter is included, and throughout the book, icons highlight recipes that are fast, low-calorie, and best-loved. From setting up a kitchen to cooking a great meal, this comprehensive book fulfills every cooking need.